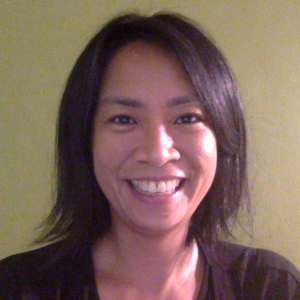 Hanh La is the Director, Applied Research & Analysis at the Center for High Impact Philanthropy. Her role includes cultivating our new faculty fellows program, continuing to develop our summer associate and other student roles, providing support to project analysts and researchers, and refining how we think and teach about evidence and social impact analysis. Hanh is also currently Adjunct Faculty at the University of Pennsylvania’s Center for Public Health Initiatives. More recently, she was a Lecturer at the National University of Singapore, where she also worked as a Senior Research Fellow. She has held numerous other faculty and consulting positions at several schools and organizations, including the World Health Organization, USAID, Tufts University School of Medicine, Harvard School of Government, and the Centers for Disease Control and Prevention. An epidemiologist with 15 years of public health experience in both academia and donor agencies, Hanh has a strong personal and professional commitment to global health and the ability to collaborate and work within changing environments and diverse stakeholder communities. Hanh holds a Ph.D. in Epidemiology, a Master of Health Science in Environmental Health, and a Bachelor of Arts in Anthropology, all from John Hopkins University.